Ok, ok, so I know some of you probably want some answers from me. I’ve been gone for quite a while! If you’re like “huh? What is this rando talking about?” And you just want to see the beautiful polishes, just keep reading. If like, a few people are curious about my really random, not too exciting reasons for my absence thennnn head over here, for a post that’s about that kinda stuff. So let’s get onto what y’all are here for! Today I have a very special collection from KBShimmer. 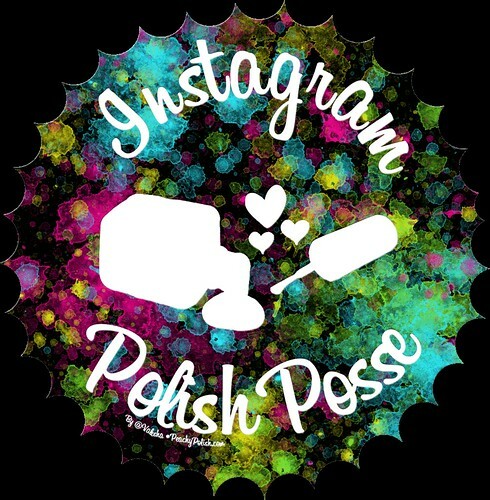 I have a collaboration polish in here! EEK! I’ve now collaborated with Christy of KBShimmer TWICE. What a dream. You may remember Toast-ess With The Mostess from their Winter 2013 Collection was my first collab color and man, I still love that polish. I was so happy to bring something else to the KBShimmer table this time around and just in time for my favorite season, FALL! OOH! I should also mention, I could not for the life of me think of a name and so I let Christy surprise me. She must get me. It makes me think of The Pumpkin King (Jack Skellington, duh! ), pumpkin spice all the things but especially pumpkin spice lattes, pumpkins and puns! All the good things! She couldn’t have named it any better, in my opinion! Blah blah blah, enough about my polish! Onto the other amazing bloggers and ‘grammers and ‘tubers who also made some of their dreams come true! High-rise To The Occasion was created with help from Michelle at Ehmkay Nails! It has a light gray crelly base loaded with tons of violet shimmer and reflective rainbow flakies. Really nice formula. Typical KBShimmer fashion! The violet shimmer really sets this one over the top. So much depth! It went on perfectly in 2 coats. Pearls Gone Wild: silver holographic microglitter mixed with a colorshifting shimmer that goes from pink and red to copper and gold. This is Amy from @McPolish‘s creation! It’s sparkly and in this beauty that dang shimmer is the star! It really gives it a nice sheen. PGW is a teeny bit sheer, so you may need 3 coats. I was able to get by with 2 here. Peach For The Sky: sky blue base packed with peach-copper shimmer. This was made in collaboration with Antoinette from @Aricedotcom! Is this collection all about the shimmer or what? Again, the accompanying shimmer is so killer! It really shines from beneath the base. Nice formula, just 2 coats = perfection. I Don’t Want No Shrubs: cool-toned hot pink crelly base with golden microflakies and shimmer. Jen from My Nail Polish Obsession came up with the inspiration for this polish! It’s a nice bright, girly note in this mostly dark (in a good way) collection. It’s just a touch thicker than the usual KBShimmer polish but still so easy to handle. This is 2 coats. Espresso Yourself: rich brown polish with lots and lots of copper and gold holographic microglitters. Gaby from @Lacquerloon created this polish with KBShimmer! Gaby is a friend of mine and I was stoked to see her creation in the flesh. Super opaque, positively filled with glitter and yet, it’s so easy to apply. I did 2 coats here but you could probably get away with one. Superb. Olive Or Twist: dark olive with gold holo flakies and tons of golden shimmer that gives it a metallic feel. This one was in collaboration with Mishra from Nail It Lovely. This olive dream is elegant and sleek. It feels so vampy! OOT has a nice formula and it’s a total one-coater! I did 2 coats here. Better Lake Than Never is a collaboration with Alicia from Delishious Nails. It’s described as a teal blue filled with holographic glowing flakies and turquoise shimmer. This one also has a metallic feel to it due to the amazing shimmer. This is a great Summer to Fall transitional shade, if you are into playing by the rules. But break them, break alllllll the rules. :) Really easy formula, 2 coats. Lady And The Vamp: warm plum jelly base with insanely holographic microglitter with hints of maroon and aubergine. This is just like KBShimmer’s other Mega Flame polishes but designed with the help of Lisa from Cosmetic Sanctuary. This is insanely gorgeous… no surprise considering the Mega Flame line is insane! Really nice formula. 2 easy coats but it’s practically a one-coater. Dead dead dead. This may be my Halloween polish! Northern Frights: holographic flakies in a colorshifting base that changes from emerald green to indigo to purple to navy. This one is a collab with Judy from Beauty Judy. The name is fantastic and the color is like that legit magical sky show. 2 coats. Let’s Fang Out: deep plum creme created with Sam from @SamNailedIt. It’s one of only 2 cremes in this collection and I’m so thankful for it, since I love cremes. Really good formula, so smooth, so buttery. 2 coats. Stop And Smell The Rosé: soft pink linear holographic with a coppery underbelly. This little sparkler is one of the two polishes in this collection that isn’t a collaboration color, it came straight from the brains over at KBShimmer. Of course, this one just kills. It’s holo and you’ll never go wrong there. Really nice formula. 2 perfect coats. Oh My Gourd is the other polish that came straight from the magician’s brain for this collection. This delicious polish is a silky butterscotch creme. It looks just like butterscotch, right? This is the color my Autumnal heart craves! So pretty, great formula. 2 coats. I read this article and found it very interesting, thought it might be something for you. The article is called KBShimmer: Fall 2017 Collaboration Collection Swatches & Review and is located at http://www.peachypolish.com/kbshimmer-fall-2017-collaboration-collection/.